The Apu Trilogy¸ considered the greatest work of Indian filmmaker Satyajit Ray, was recently the subject of a meticulous 4K restoration by the Criterion Collection in partnership with The Academy of Motion Pictures Arts and Sciences, aided by MTI Film’s industry-leading restoration software DRS® Nova. CORTEX has already seen wide adoption as the simplest and most powerful tool for dailies on set, near set and in facilities. But it's also becoming a powerful tool for Assistant Editors, thanks to its impressive media and metadata management features. Whether you use CORTEX for efficient, high quality dailies, to help manage your media and metadata from set through post, as a flexible and powerful transcoding engine… or all three… it’s important that you are able to handle any input file that comes your way and deliver to spec every time. 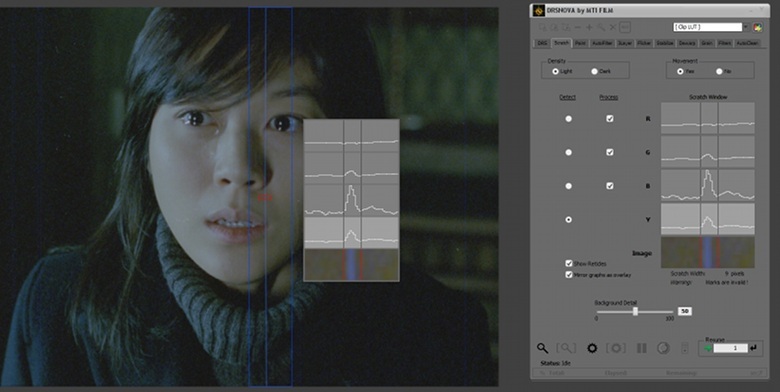 MTI Film today announced that CORTEX Dailies has added support for decoding and encoding Apple ProRes 4444 XQ. Support is available in a new update, CORTEX v1.5.3. 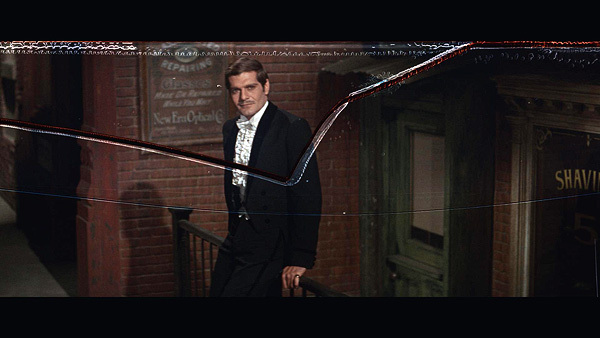 EDLs are an important part of the Post workflow, from VFX pulls to promos and rough cuts. CORTEX gives you a simple, fool-proof way to link back to your original media, even if it's been moved offline or to nearline storage. Successor to MTI Film’s industry standard Correct DRS™ software, the new product represents the next step forward in digital restoration. The hit A&E series adds MTI Film’s turn-key onset dailies and media management system for a more stable and efficient workflow. The producers of the A&E drama Longmire have selected MTI Film’s new CORTEX CarryOn as their onset media management tool for season three. The CarryOn provides on-set color, camera file offload and backup, and serves as the starting point for tracing media and metadata from the set through dailies and into post. Longmire became the first production to implement CORTEX CarryOn in February. MTI Film is debuting the CarryOn at NAB 2014 (Booth SL15510), but provided the production with early access to the system and to CORTEX Dailies v 1.5, its all-in-one dailies software, to help improve the distributed, remote dailies workflow., “On Day 1 of using the new software, our workflow was already more stable and efficient than in previous seasons,” notes Bryan Raber, the show’s producer. Longmire’s workflow begins on-set where DIT Timothy Gregoire, over the course of the day, offloads morning and evening drops using CORTEX CarryOn to process multiple camera cards simultaneously and back them up to a shuttle drive. He then applies primary color to one take for each scene and adds timecode-based comments about the overall look and any special circumstances, such as light changes during outdoor shots. The drives are then sent to a CORTEX Dailies system in the nearby production office, along with an export of the session’s CORTEX Manifest file. The Manifest includes the onset color metadata, as well as information about the offload and backup, including MD5 checksums. In the production office, dailies assistant Aaron Natewa imports the media and relinks it to the Manifest file, noting any discrepancies such as missing or corrupt files. “It’s nice for the software to tell you when something has gone wrong,” enthuses Raber. Natewa then syncs and transcodes the dailies while dailies colorist Mauricio Tassara logs in remotely from Los Angeles to color every take based on looks and notes provided by the DIT on set through the metadata in the Manifest file. Groundbreaking system offers a fully-integrated solutions for dailies processing at an incredibly low price. At NAB 2014, MTI Film will introduce CORTEX CarryOn, its new, portable, all-in-one, on-set dailies solution that is powerful enough to handle the most demanding production tasks and yet small enough to fit in the overhead bin of an aircraft. Compact, lightweight and rugged, CORTEX CarryOn packs more power, offers greater versatility, and features a smaller price-tag—just $35,000—than anything in its class. Capable of processing dailies at resolutions up to 4K from all of the most popular digital cinema cameras (including ARRI, Sony, Canon and RED), CORTEX CarryOn comes equipped with MTI Film’s industry-leading CORTEX Dailies Enterprise Edition software on an optimized platform. It features a liquid-cooled Intel i7 processor for ultra-quiet operation, a 12TB SSD RAID, GPU-accelerated rendering and both Thunderbolt 2 and USB3.0 technology for fast transfers. CORTEX CarryOn will be shown for the first time at NAB but a beta version of the system is already in use on the set of the USA Network series Longmire. “We have previewed the system to a number of producers, cinematographers, production technicians and others, and all have responded with great enthusiasm,” observes Vandenberghe, adding, “The system can benefit any motion picture or television production seeking to streamline its workflow and improve reliability in dailies production. In particular, our new feature, called the CORTEX Manifest, can be used to send metadata files from the set to post , maintaining metadata coherence, including color decisions and media file tracking information, from camera through final delivery. At NAB 2014, MTI Film will demonstrate CORTEX CarryOn and other products at Booth SL15510. About MTI Film LLC Since 1997 MTI Film has provided award winning software applications to the post-production industry with a focus on technology for digital film restoration and digital dailies. MTI Film has fostered strong ties with our customers and an in-house services arm to provide real-world, real-time development experience. Newly added to the product line is CORTEX::Dailies and CORTEX::Convey, the next generation solution for a complete dailies workflow from set to delivery that includes tools to Play, Color, Sync, and Transcode to all popular media formats. With Correct DRS™ and Control Dailies Enterprise rounding out the product line, MTI Film offers the most advanced, efficient and user-friendly applications on the market. MTI Film invites you to register for a FREE pass to the NAB 2014 Exhibits using code LV7874. Watch the full video at PostPerspective.com. 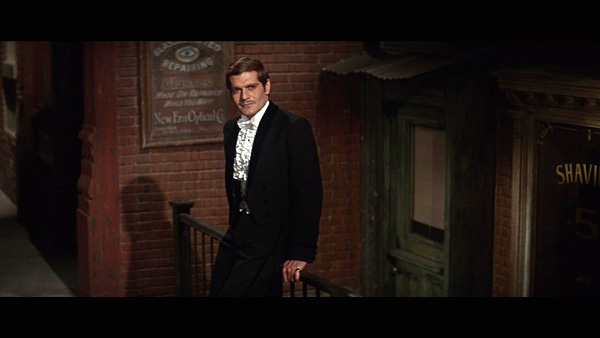 Grover Crisp, SVP of Asset Management, Film Restoration & Digital Mastering for Sony Pictures Entertainment discusses how a fullly digital 4K workflow made for a richer, more ambitious restoration of Funny Girl than was possible even just a decade ago. 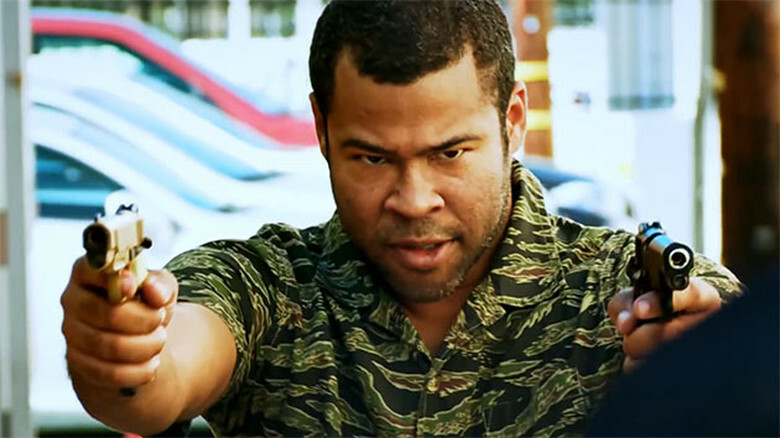 MTI Film's award winning colorist Steven Porter works alongside director Peter Atencio and cinematographer Charles Papert to get just the right look for every sketch in Key & Peele. Producers Antoinette Perez and Lawrence Epstein will oversee post work for more than a half dozen scripted television series. Ramping up for a busy television season, MTI Film has added veteran producers Antoinette Perez and Lawrence Epstein to its post-production services division. Perez arrives from Pixomondo where she produced visual effects for such films as Oblivion and Red Tails. Epstein’s appointment is a promotion. He served for the past three years as MTI Film’s Night Operations Manager. Epstein will oversee post-production work for several television productions, including Major Crimes, Hell on Wheels, The Walking Dead and Bates Motel. Perez’s responsibilities will include the shows Sirens, Dallas, Key and Peele, A Country Christmas Story and Through the Wormhole. Epstein joined MTI Film in 2010 after three years at Encore Hollywood where he held a similar operations role. His expertise encompasses editorial, color correction, graphics and visual effects. 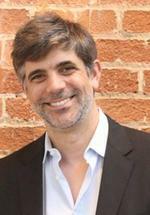 Perez has worked in post production since 1994. She began her career at Encore Hollywood and later joined Cinesite, Europe, where her credits included Tomb Raider and the first two Harry Potter movies. She also held positions as Producer at at Prime Focus and CG Production Manager Rhythm & Hues. David McClure, VP of Product Development, will join a panel of industry experts discussing "The Latest Flow in Digital Workflow" at the Post Production Master Class Burbank November 7. The Post Production Master Class is an intensive afternoon of presentations and panels on the business and technology of Post. It is presented by Creatasphere as part of their annual Entertainment Technology Expo. McClure joins Brandon Bussinger, Duck Grossberg, Erik Hansen, and Ramy Katrib to address the latest trends in everything that happens from set to screen. The session begins at 2 pm and is included in the Post Production Master Class Registration. MTI Film is proud to once again be a sponsor of the annual Association of Moving Image Archivists (AMIA) Conference November 6-9 in Richmond, Virginia. The conference provides an opportunity for a diverse array of professionals and students to meet, share information and work together through an intensive and cost-effective learning forum for audiovisual preservation and access. 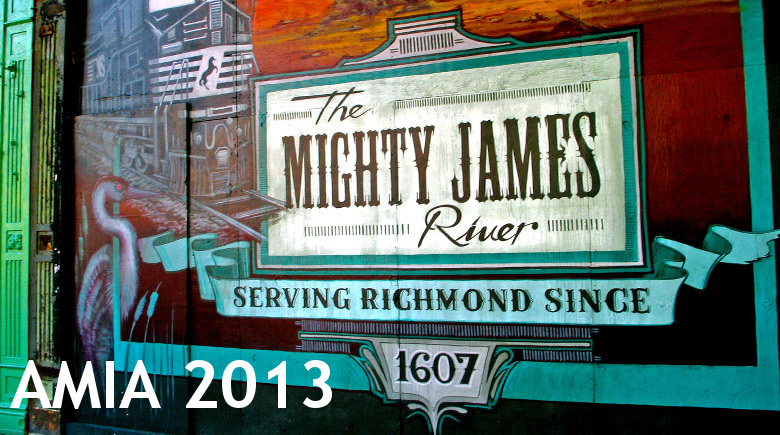 The 2013 Program includes a number of workshops, speakers and presentations addressing all aspects of preservation, restoration and archiving. Experts from The Library of Congress, studio archives, content libraries, universities and more will cover the business, technology and science of preserving our cultural treasures. The 2013 Conference also includes the first ever AMIA Hack Day, which brings together computer programmers, engineers and archivists to look for solutions through technology in an open and collaborative environment. 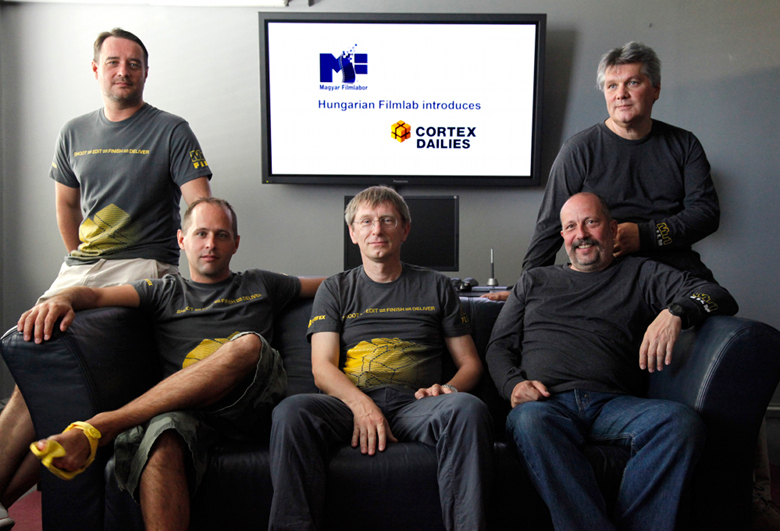 The Hungarian FilmLab (Magyar Filmlabor), Hungary’s largest provider of film laboratory and post-production services, has purchased MTI Film’s flagship dailies processing solution, Cortex:: Control Dailies Ultimate Edition. FilmLab will employ Cortex::Control Dailies to service feature and television productions working in Hungary and throughout Europe. The system is capable of processing camera data from all popular digital cinema cameras, including cameras made by Sony, ARRI, Canon and RED, and creating media required for editorial, review and back-up, with or without applied color grading. Bratislava, Slovakia-based systems integrator BoneheadZ, an MTI Film authorized reseller, assisted in the installation, providing pre-sales consultation, workflow design, systems integration and training services. The installation included one seat of Cortex::Control Dailies Ultimate Edition installed on a Hewlett Packard HP Z820 workstation with fiber storage and a capacity of 24TB. Hungarian FilmLab has since added a second seat and a workstation to boost capacity. Hungarian FilmLab is currently using Cortex::Control Dailies to process dailies for several productions. They include three features: Mancs, directed by Robert-Adrian Pejo for Új Budapest Filmstudió; Coming Out, directed by Denex Orosz for Megafilm; and Parking Lot. They are also providing dailies service for In Treatment¸ HBO Hungary’s local version of the U.S. and Israeli psychoanalysis drama of the same name. Hungarian FilmLab used Cortex::Control Dailies to create LTO back-ups for another HBO Hungary production, Társasjaték. MTI Film, a leading developer of software applications for dailies processing, media transcoding and film restoration, has appointed Jean-Dominique “J.D.” Vandenberghe as Product Manager. Formerly Workflow Project Manager at ARRI, Vandenberghe brings a strong background in engineering and mathematics, and broad experience with digital cinema camera systems and workflow technologies.